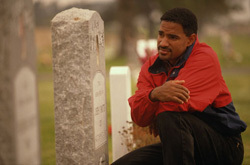 When someone you love dies and you are grieving, the last thing on your mind is thinking about money. Money will not bring back the person you lost. If the deceased is one of the primary breadwinners of the family, then that person’s death creates an even greater hardship. A wrongful death case is one in which, through someone else’s negligence or misconduct, the victim’s injuries are so severe that they result in death. If someone’s neglect or misconduct has caused the death of your loved one, that person is accountable. An attorney can explain to you whether your loved one suffered a wrongful death and the deadline by which you would have to file a claim for damages. These timelines vary by type of case. At Noel H. Benedict & Associates, we can help you understand your legal rights. Call us for a confidential assessment today. Does the wrongful death of a person only apply to a wage earner of the family, like a husband or a wife? Does wrongful death just apply to medical malpractice cases? Do I have to do something immediately while I am still in so much turmoil?